Low response rates - and the potential this has to lead to bias - is one of the major challenges facing survey research today. One commonly suggested approach to address nonresponse is to append auxiliary data available for both respondents and non-respondents to the dataset. However, despite the growing array of data that can be appended to sample frames using geocodes such as postcode, doing so can often be a time-consuming and frustrating task and research to date has struggled to identify auxiliary variables which are sufficiently correlated with both response propensity and the survey variables of interest to be useful. 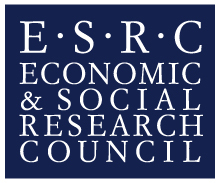 This evening event presents findings from the ESRC-funded ADDResponse Project which investigates the scope that auxiliary data provide to understand and overcome non-response bias in the European Social Survey. Incorporating auxiliary data from a variety of sources and at multiple levels of aggregation - including small-area government data, household level commercial data and local geographic information - the project provides a uniquely in-depth insight into the potential afforded by geocoded auxiliary data to address the problem of non-response in social surveys. There will also be a discussion led by an expert panel of survey methodologists and practitioners on the future prospects for using geocoded auxiliary data to tackle survey non-response. Find out more about the event via the ADDResponse website. We are particularly keen to welcome survey practitioners and producers of auxiliary data as well as academic researchers. The event is organised by the Centre for Comparative Social Surveys, City University London and Ipsos MORI. Please arrive at 16:30 for registration, the event will begin at 17:00. The event will take place at the London Art House, 2-18 Britannia Row, Islington.